Open shelving in the kitchen is having a moment and we. are. here. for. it. Adding open kitchen shelves or ledges is a relatively easy way to not only modernize your kitchen, but to put personal items on display. 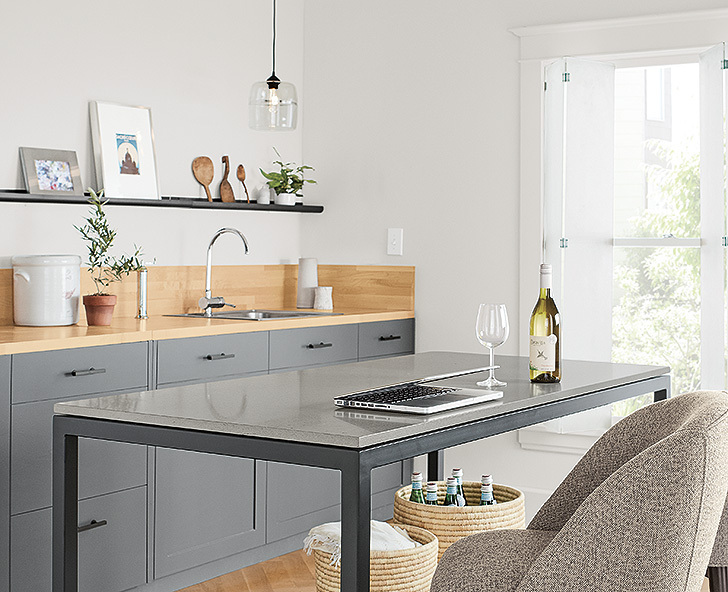 Whether it’s your favorite wine, a touch of greenery, or glassware you’ve collected over the years, your personal items make your kitchen feel like you while adding major functionality to one of the busiest areas in your home. 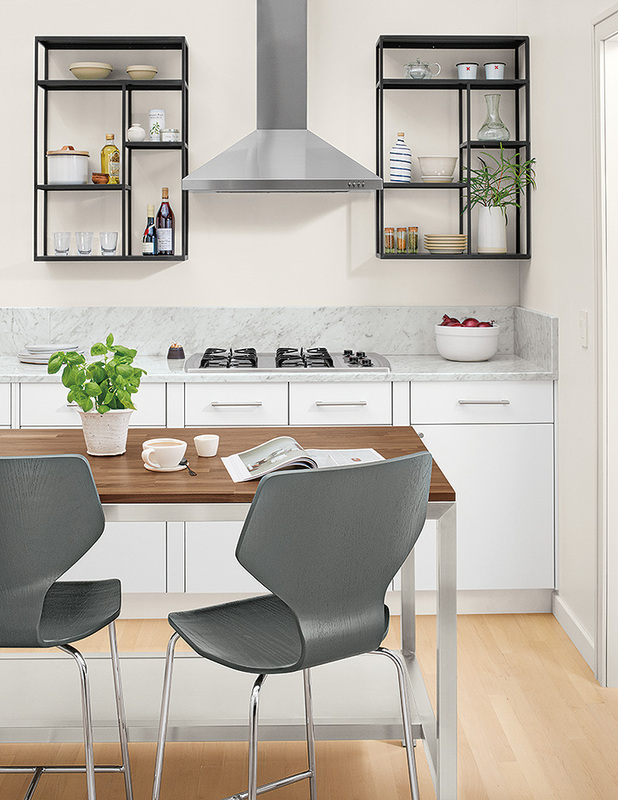 Our Foshay wall units are beyond sturdy and have sleek, architectural appeal that complement any kitchen. 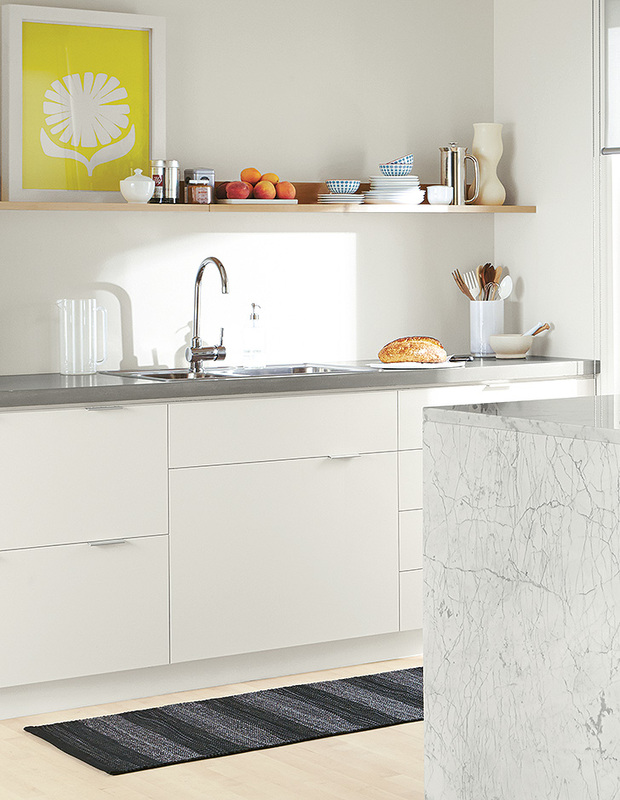 You can see how the asymmetrical design allows for all sizes and shapes of kitchen items. Adding these kitchen shelves on either side of the stove give the kitchen a balanced look. Trace shelves are the perfect accompaniment to favorite photos or small kitchen trinkets. The linear placement keeps this modern kitchen looking clean, and it makes a modern design statement on an otherwise empty wall. 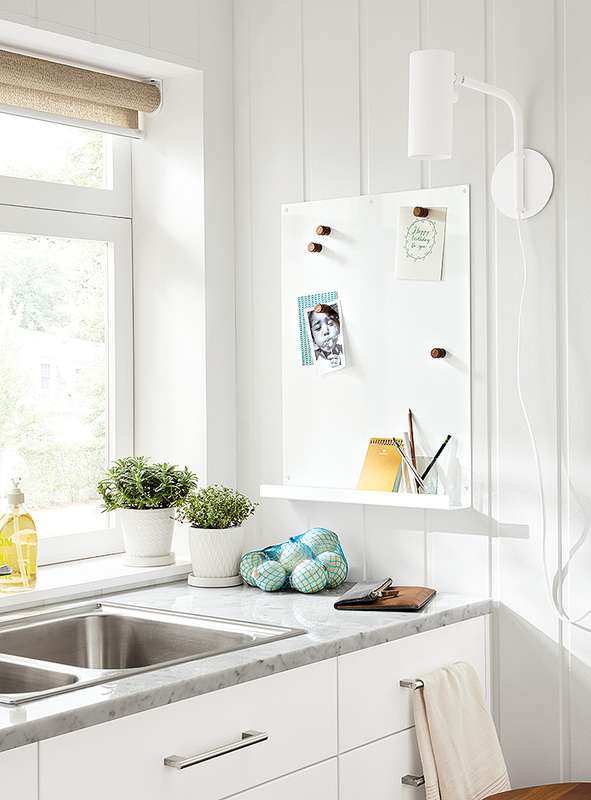 Okay, so our Agenda magnetic board isn’t exactly a kitchen shelf or ledge, but you could argue it’s even better: the large magnetic board provides plenty of room for grocery lists, to-dos, photos and more. And the ledge on the bottom is the perfect catch-all spot for small items. This board comes with modern wood magnets and is available in a wide range of colors. True to the trend, our Mantel shelves work wonders in the kitchen. They do a smart job of keeping kitchen items and decor off the counters, so you have more room for chopping, slicing and dicing. And because dishware can’t hide behind doors, you’ll be more motivated to keep things looking clean! Our Bradbury shelves are some of our most substantial, and placing three in a vertical line gives this tall kitchen wall serious style. 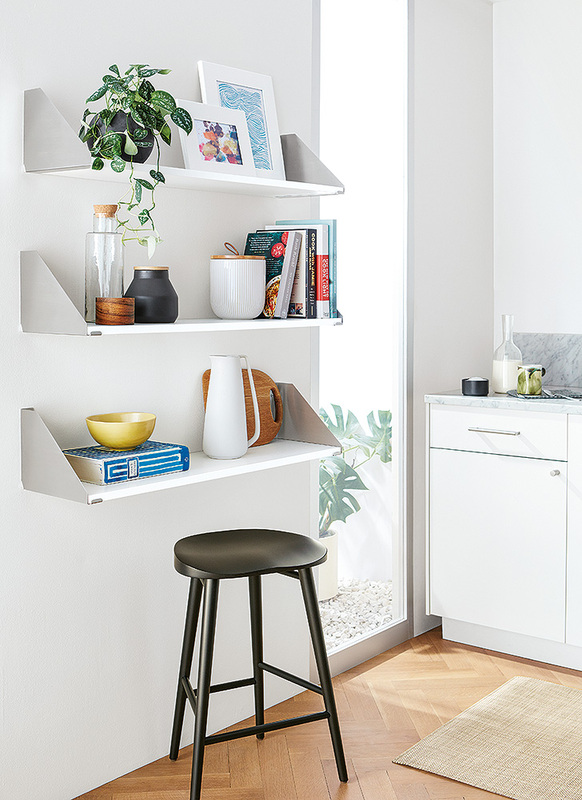 Where a storage cabinet might take up too much width, these shelves let you easily store cookbooks, photos, succulents and more but save you the square footage. Bradbury also makes the most of materials: choose from white, stainless steel or natural steel brackets and glass, white or walnut shelves.